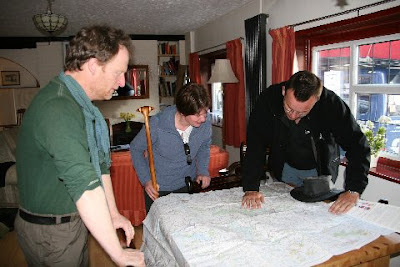 With Winter now upon us the thought of going on expedition sends shivers through my bones. That was until I heard about a new canoe holiday company down in Norfolk. 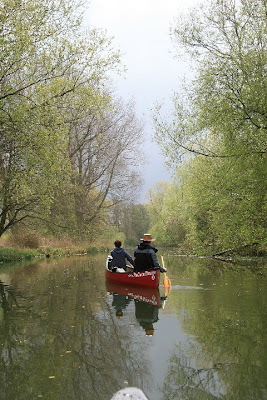 Their aim is to make canoeing expeditions as comfy, warm and luxurious as possible. So with my case in hand I hopped onto a train and headed for Norwich Station. At the station I was met by Dave from the Moorhen Guest House in Horning. 20 minutes later I arrived at the guest house and met the rest of my group and Mark ‘The Canoe Man’ who leads the trails. Over dinner he went through the itinerary for the next few days. It sounded wonderful. In the morning we’d be picked up at the guest house and taken down Buxton Mill. We didn’t need to take anything with us except some warm clothes. So the following morning after a huge delicious breakfast we made our way to the mill. Everything had been laid out for us, the boats, the buoyancy aids, paddles etc even our packed lunch had been made for us by Christine from the guest house. We all paired up and I hopped in a boat with Mark and Darcey his adorable Spaniel. Within minutes of being on the water we passed a nesting swan and a water deer, which I’ve never seen before. 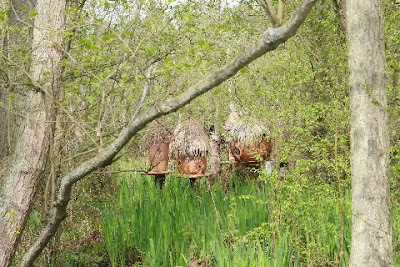 The Broads are certainly a nature lover’s paradise as another delight appeared around every corner. After a short while the river turned into a canal with beautiful fields and forests either side. It was perfect paddling territory for a white water wimp like me, well so I thought! As lunch time approached I could hear the faint sounds of rushing water in the distance. I turned round to see Mark with a very sly look on his face. He had somehow managed to find the only white water in the whole of Norfolk for me. The little git! I have to admit, I got out of the boat and made an excuse of having to take photo’s as the rest of the group got totally drenched going through the little tunnel and then continueing to play on this great wave. 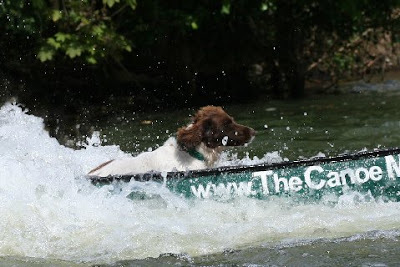 I hate to admit it but Darcy the dog does harder white water than I do and he loves it too! After Lunch we headed off the ‘beyond navigation’ area and onto the main section of the Wroxham broads with all the canal and narrow boats. Some of the boats where just like floating pieces of art, so colourful and with such intricate detail. As the sun started to set we were met at the side of the canal by Dave and all taken back to the guesthouse for Dinner. What a lovely way to finish the day. A long soak in the bath, a lovely hot dinner and a warm and comfy bed, who could ask for more? The following day we were picked up by Mark again and continued our trip along the broads. Today we stopped off at the Hoveton Great Broad nature reserve. You can only access this reserve by boat which makes it something special. We saw Marsh Harriers and Terns and only just missed a visit from the resident otter. Later in the day we visited the Sal House, home to the 16th biggest tree in Norfolk! From here we walked up a small path through the trees to the Fur and Feathers for a well deserved pint. As I sat there with my Lager Shandy I couldn’t help thinking of my past trips at this time of year. Dirty finger nails, uncomfy nights sleeping on freezing ground and eating instant mash potatoes and beans out of a tin. I think there’s a good chance that may well become a thing of the past for me now I’ve experience the comfy and warm way of doing things. 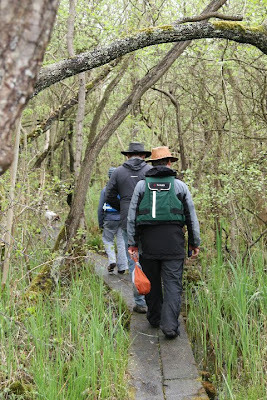 After another lovely organic packed lunch made by Christine we headed back to the boats and headed off towards Decoy Broad. 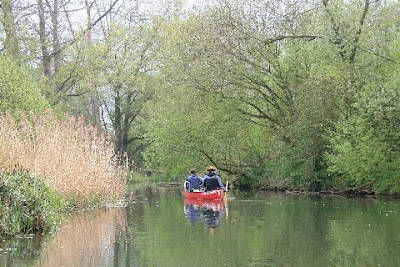 Again we paddled past so much wildlife and I even saw a Great Crested grebe catch a fish and pop up right next to my boat. Later that afternoon Dave was there again to pick us up and take us back the Guest House. If you are celebrating a special occasion there is an option of booking into the Broad House Boutique Country House 5 star hotel. One of the get outs is actually in their grounds so you could even do it as a surprise for your partner. It’s a magnificent hotel, I only sneaked in to use their loo but if the toilets with their chandeliers is anything to go by, it is very very posh. That evening we chose to eat out at a local Chinese restaurant based in an old train carriage, it was very nice. Day 3 and our final day on the water. It was another sunny day and there was an excitement in the air as I was going to Bewilderwood. If you’ve never heard of Bewilderwood before then you’re in for a treat especially if you have children. It’s a magical place situated at the edge of the broad in an old forest and is home to crockle’s and twiggle’s who live in tiny houses high in the tree’s or in amongst the crocklebogs. It’s an incredible place, with zip wires and treehouses and jungle bridges, definitely somewhere you can let your imagination go wild. I loved it. It’s a shame but this is where my trip to the Broads ended and way to soon for my liking. I’ve never paddled on the broads before and I was surprised at just how much there was to see and do there. And as for the B&B canoe Tours you just can’t beat it.